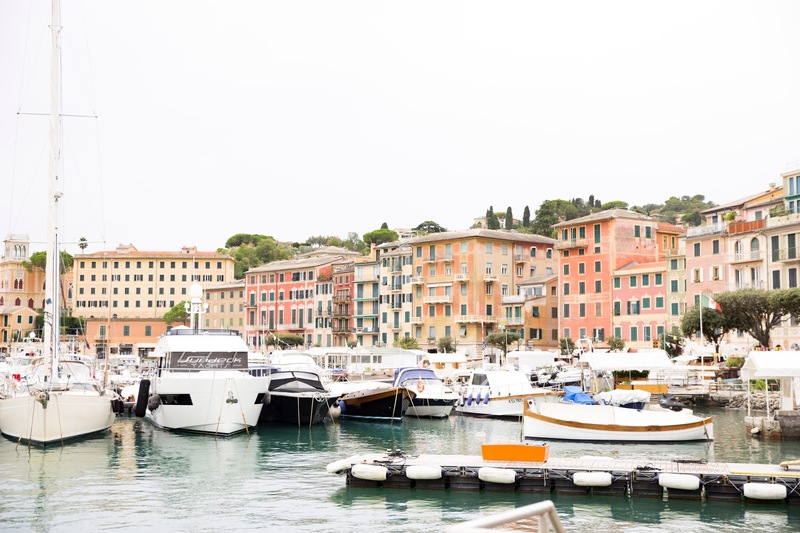 If you follow along on Instagram, you may have noticed that Adam and I took a bucket list trip through Europe this past summer visiting the French and Italian Riviera. 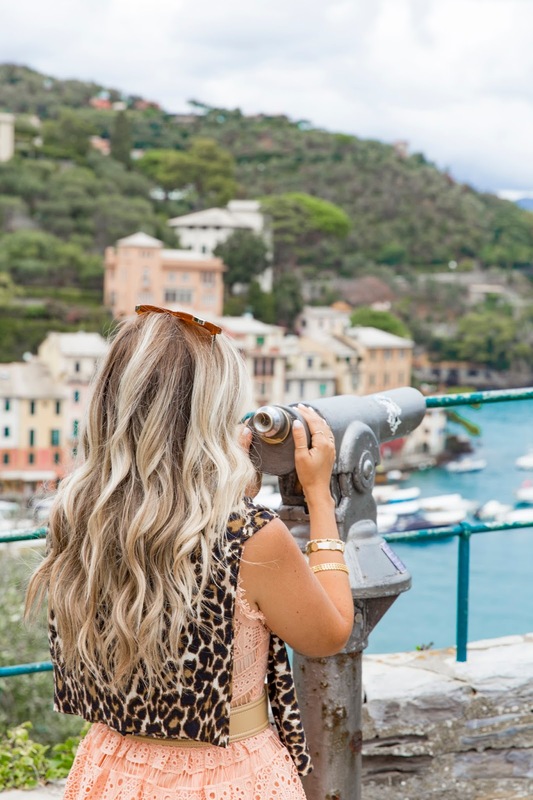 While the French Riviera was certainly a dream (read my travel guide here), I couldn’t help but be excited to move onto the second part of our journey: Portofino and Santa Margherita Ligure. 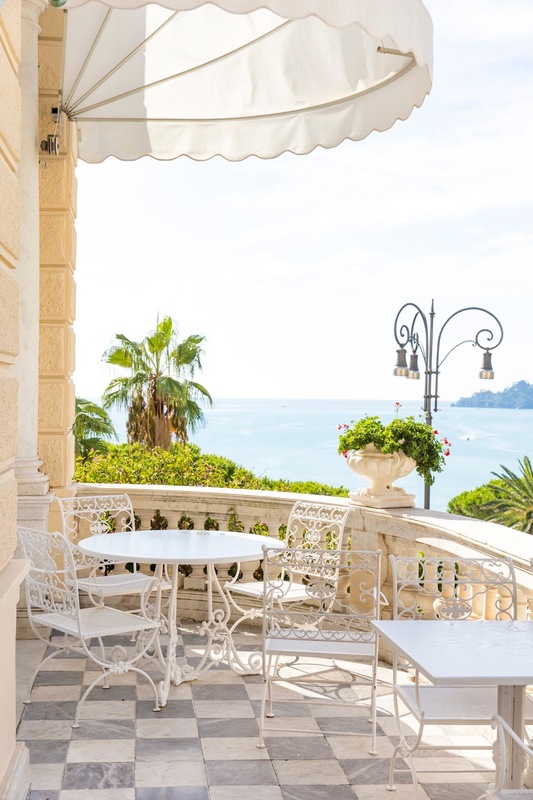 Opting to save any anniversary celebrations till we arrived in Europe, we decided to splurge on our accommodations on our first stop in Italy: Santa Margherita Ligure. 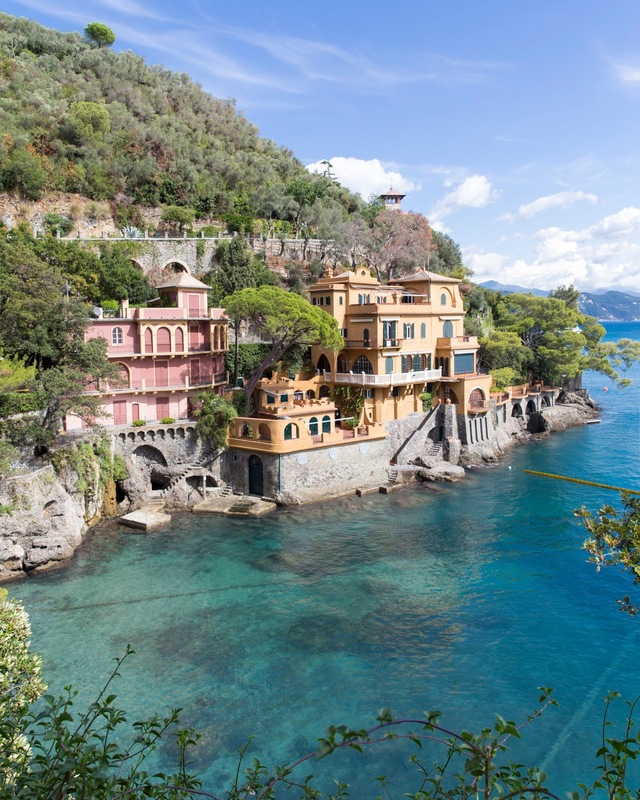 This town may not sound familiar to you but if you look it up on a map, it’s actually an 8-10 minute drive from Portofino and where you can find most hotels or B&B’s in the surrounding area. Looking for assurance this was the place to be, I hit up the American Express Platinum Card Travel Service Team (since they’re on speed dial) for their suggestions in the area. Within 24 hours I had an email in my inbox suggesting various nearby properties as well as restaurant and gelato must-do’s! 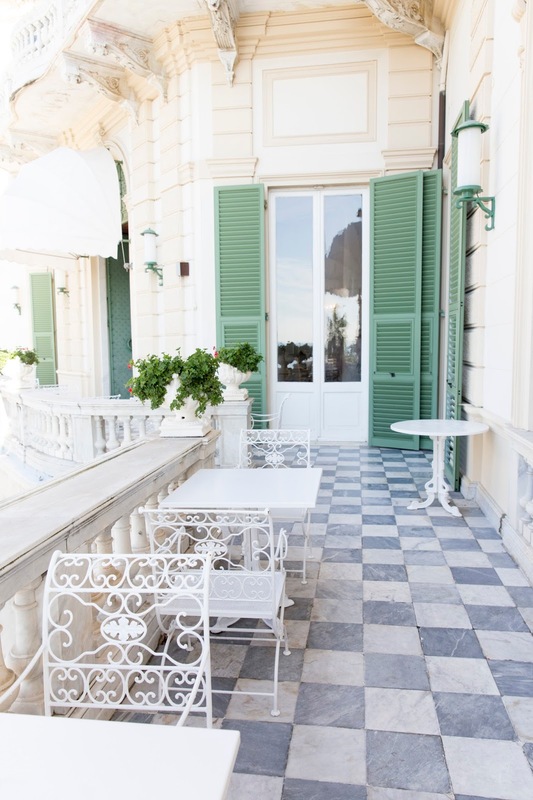 With 3 days to spare in the area and knowing we wanted to enjoy some R&R seaside, we opted for a stay at the Imperiale Palace Hotel. 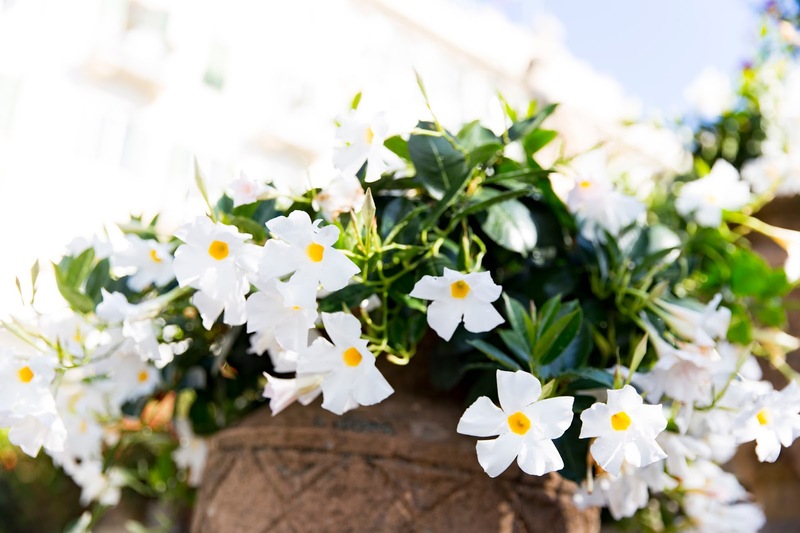 The property overlooks crystal blue waters in Portofino Bay and has an old-world charm to the grounds like no other. The ‘ah-ha’ moment of this property has to be the stroll down to the bay (pack your flip flops in your bag for this climb) where you’re greeted with a pool on one level, a restaurant on another and then those classic tangerine and white perched umbrellas and chairs - like every perfectly snapped pic on Pinterest. I think my favourite part of the entire experience of this property had to have been the breakfast service. Served buffet style, you could enjoy a cappuccino on the terrace every morning and the spread was unlike anything I’d ever seen. I’m talking unlimited mimosas, a cheese table, pastry setup, fresh cooked eggs (however you like), fresh fruit, a cold cuts table and that was just the left side. I’ve never had a breakfast spread quite like this! 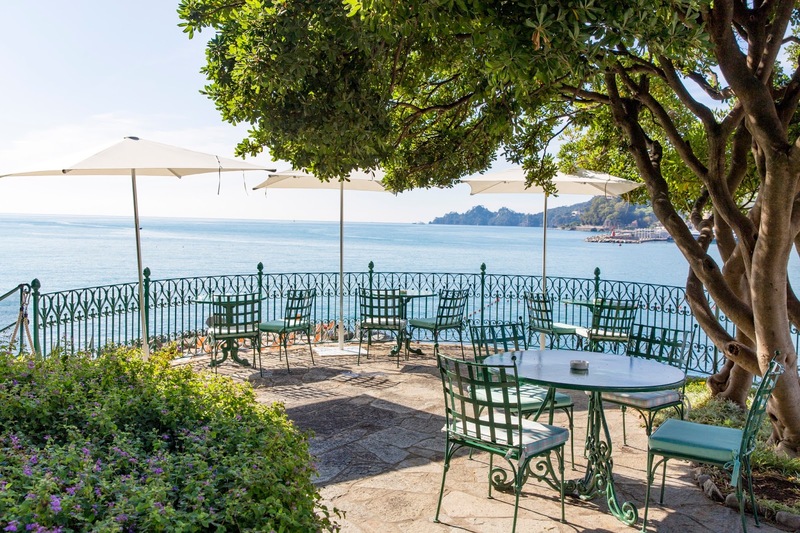 I recommend touring the Pagana walk, which can take you from Rapallo to Portofino. An actual red carpet, you’ll tour the best sights and be taken along all the Instagram worthy gems along the way! The harbour of Portofino is much smaller than you’d expect so I would say it’s safe to assume 1 day is more than enough time to spend in the area. 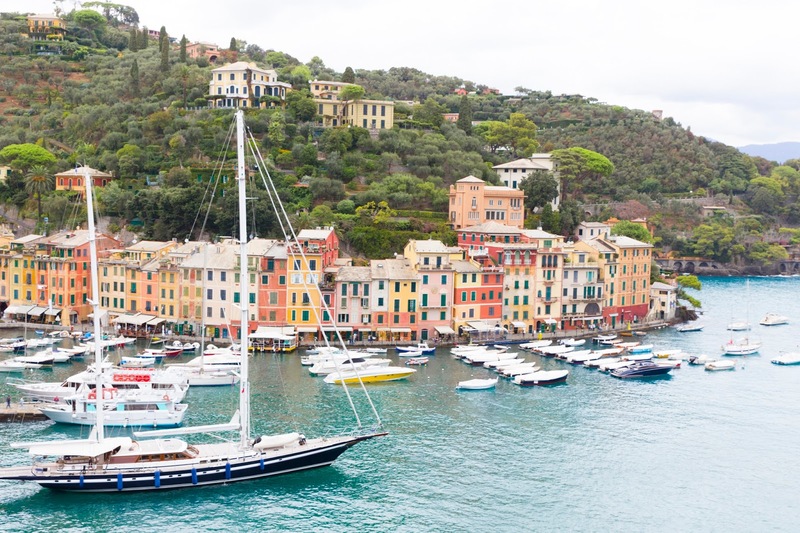 To be honest, we preferred strolling through the marina of Santa Margherita Ligure and getting lost in the back streets picking up fresh bread, cheese, cold cuts and cannoli’s for snacking seaside. 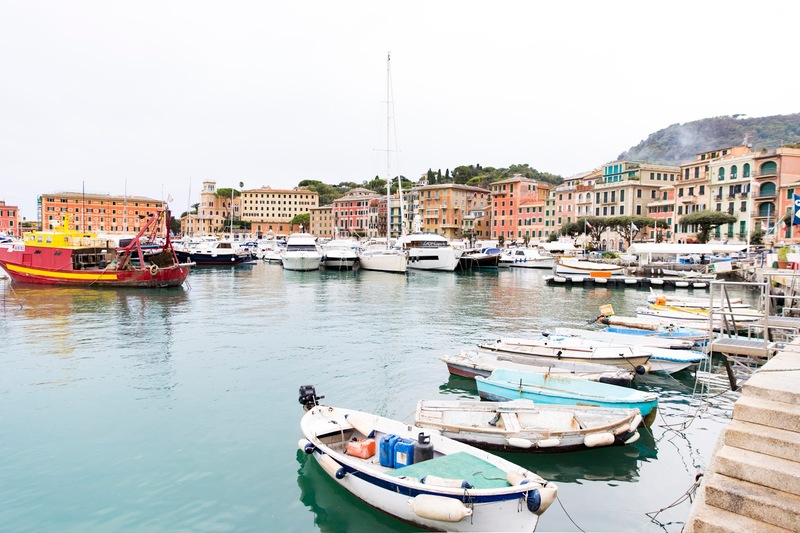 If your property doesn’t have waterfront access and you’re looking to change things up, consider visiting Sestri Levante for a quaint beach town. Drinks are a must at Hotel Helvetia! We opted out of dessert knowing we’d be consuming carbs in ohhhh about another two hours but a sweet treat was knowing that our anniversary meal – which we used our American Express Platinum Card to pay for– was another means to earn points. Whether it’s your hotel stay, that special dinner or even pre-booked excursions, I love knowing that we can earn points on our vacations to use towards another dream destination (cough cough Dubai if you’re reading this Adam!) with our Platinum Card. 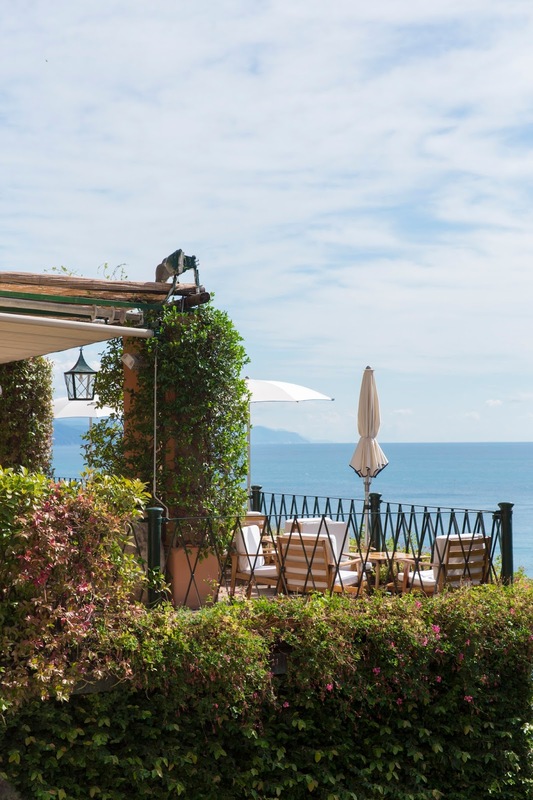 In celebration of our anniversary – and on the recommendation of our friends at American Express, we booked reservations at La Terrazza on the Belmond Splendido Mare property. 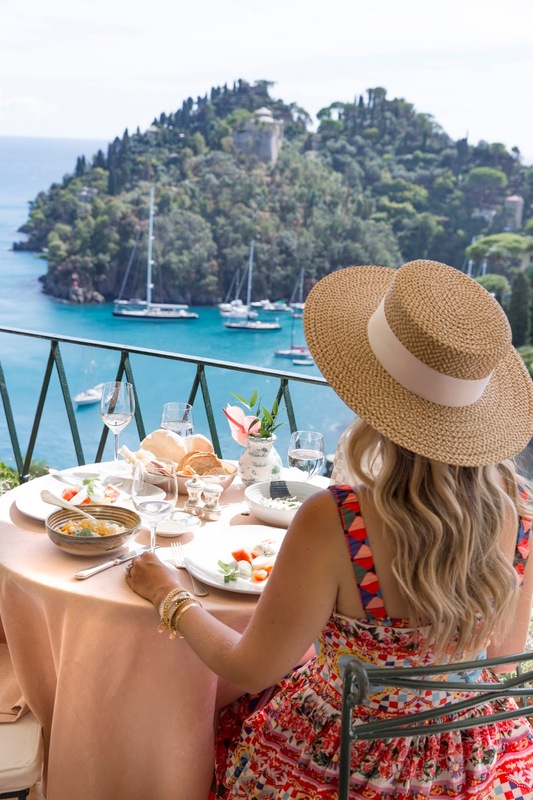 You’ve likely seen this spot featured more than once in magazines, Instagram travel guides and more – it’s one of the dreamiest hotels and restaurant views I’ve ever seen. From the bread service to the best burrata of my life and pesto pasta that melted in your mouth – it was an experience like no other. The service, food and wine list was everything we had anticipated and I couldn’t think of a better way to ring in our 9th anniversary than with the dreamiest views of Portofino Bay and with a table of carbs in front of us! And don’t forget that the Card comes with another sweet treat: a $200 annual travel credit you can use for any travel purchase charged to your Platinum Card through Platinum Card Travel. 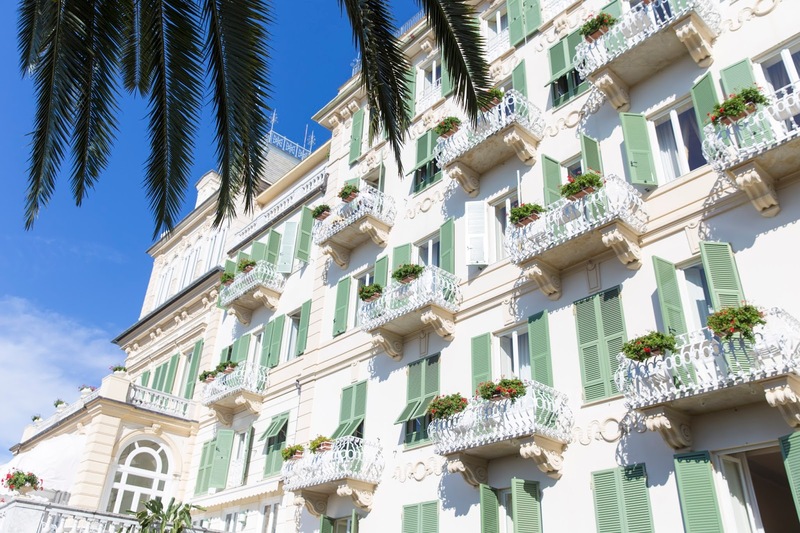 With a bonus like that, it can often help in deciding between that great or must-do hotel you’ve been eyeing at your next destination. Other restaurants we dined at in the area and loved, were: Ristorante Stella, Winterose Wine Bar and Reve Café Restaurant (a must do!). Stay tuned for the rest of our Italian itinerary coming shortly! These are fantastic decisions for convenience in Cape Town as they offer preferable incentive over the Waterfront Marina by being on the external edge of the Waterfront border yet having quick direct access to all the Waterfront attractions.